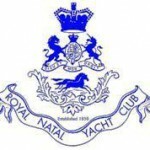 We have a comprehensive collection of old newsletters which make for some interesting reading and which, in time, will become part of the history of the Old Boys Association as well as the General Botha itself. Please note that the newsletters are stored in PDF format and you need a PDF viewer installed on your PC in order to open them. You can download the latest version of Adobe Acrobat here…..